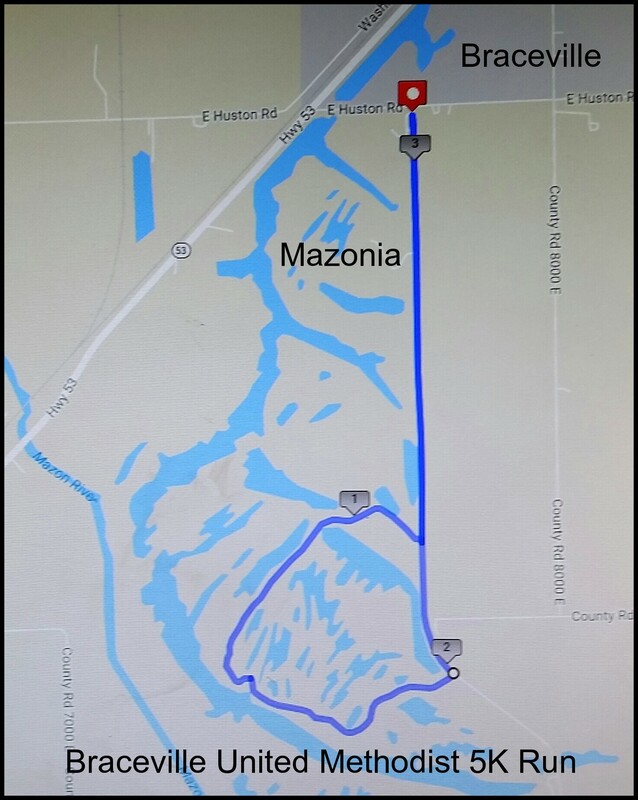 Run through the beautiful trees and around the lakes of Mazonia-Braidwood State Fish and Wildlife Area! Trophies will be awared to the top three male and female finishers, as well as the youngest and oldest finisher! Medals will be awarded to the top three male and female finishers in each age group (5 year divisions). Plus you will be supporting the outreach ministries of our church in the local community! 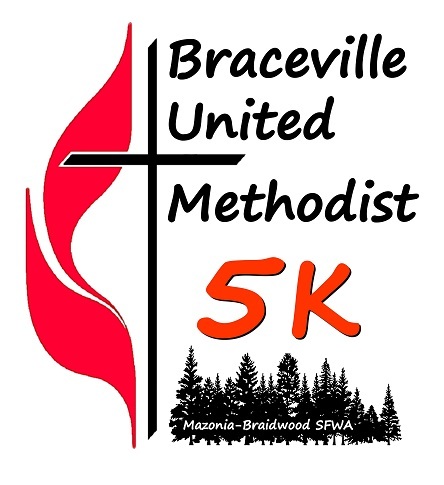 Race day registration and packet pick-up begins at 7:30 a.m. in the parking lot near the entrance. Race begins at 9:00 a.m..